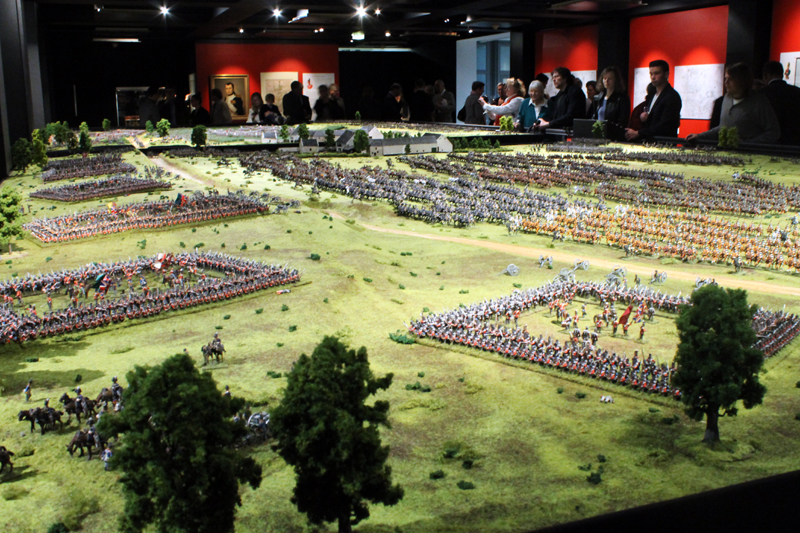 The focus is on a 12 x 5 meters large diorama recreates the military events in Waterloo based on approximately 15,000 painted 28mm figures. This large diorama is complex with landscaped and buildings and mediated by LEDs an authentic insight into the flow of battle. 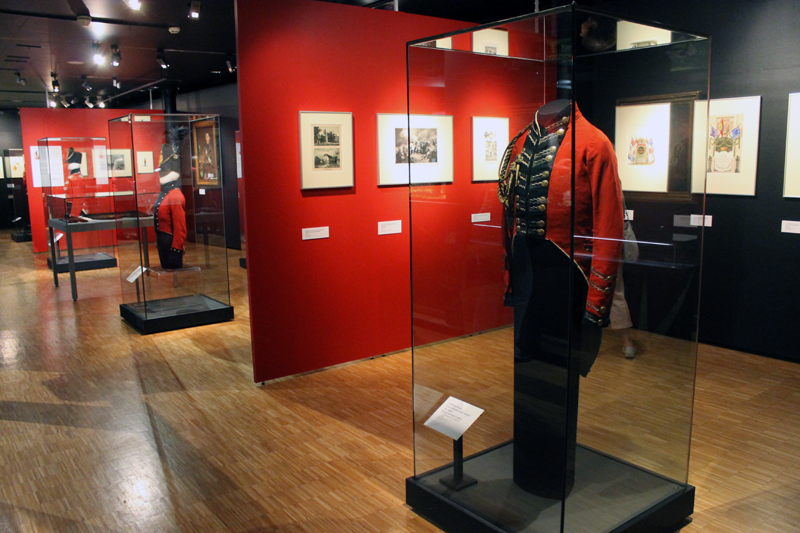 Several small additional dioramas are special issues devoted to, among other things, so will the competitive farm La Haye Sainte, one of the focal points of the battle in detail.